uh... I sorta waited for someone else to do this, but... Eh, I'm going to give doing a tutorial a try, although I'm not good at explaining and get sidetracked a bunch, so apologies in advance if this is hard to follow. ...sorry in advance for sorta jacking your tutorial style KJP, haha. - Your Fit(Fighter).pac, of course. 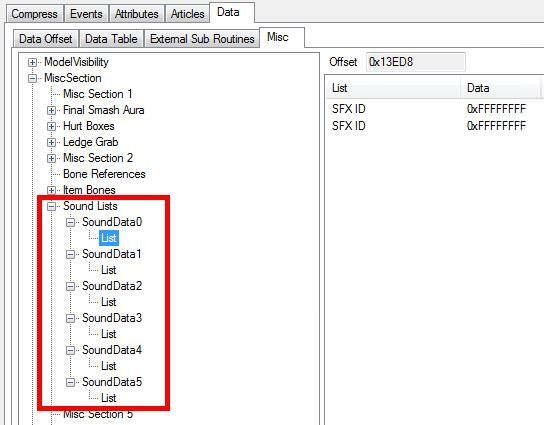 - smashbros_sound.brsar, found in the Resources page at the top, go to the bottom of that page, 'Data Partition 2 (NTSC-U)', when you open the Google Drive thing, go to the 'sound' folder, and you should see it there. So this isn't really hard to do, per se, but it does take a long while if you want to do it properly. Also, meet Cabbage, our test subject for today, hello Cabbage. I personally keep a notepad file for characters' SFX I have done so things don't conflict, may be a good idea if you plan on doing more than one sfx thing. Afterward, make a new folder somewhere that you'll use to place this new characters sounds into, I also put two folders into this folder named 'se' and 'vc' (Sound effects and voices respectively) just to make things easier on myself later on-- fortunately for me, Cabbage doesn't need voice stuff so I can completely ignore that, although for most characters you would need both. I'll still note necessary voice stuff in the PSA portion. 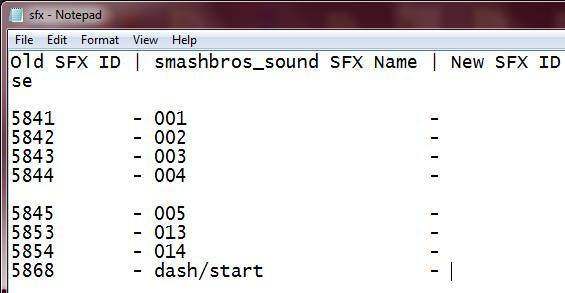 Now you'll need to open the smashbros_sound.brsar with BrawlBox, as well as your empty sfx text file, this is how I have it set up, just to give an idea. I'd also recommend inserting a premade sawnd for whatever character you're separating from to make life easier, however, you don't need to. Now since dear old Cabbage is an Ike clone, I'm going to go to his 'se' folder in the .brsar, just scroll down to whichever you need. 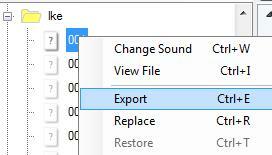 Right click a sound, and export (Or just Ctrl+E), you only really should do this for actual sound-sounds, so remember to give it a listen to see if it is actually something. 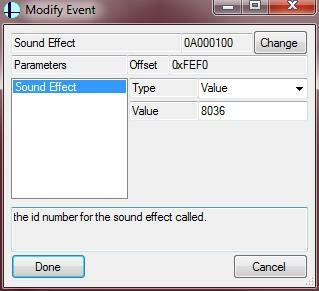 After doing that, note down the ID of the sound effect (It's on the part to the right, under Misc>InfoIndex), as well as the name given. Keep doing this 'till you're done with that bit of it, then move onto the 'vc' portion, and do the same there. I just separate into groups of four to make it easier on myself, you don't need to do this-- just write them as you think would be easiest for you. This one, these are the settings that are needed as well. After this is done you get to create your new soundbank, yay! All you really need to do is 'change sound' (YES! Change Sound! Using Replace will crash BrawlBox!) 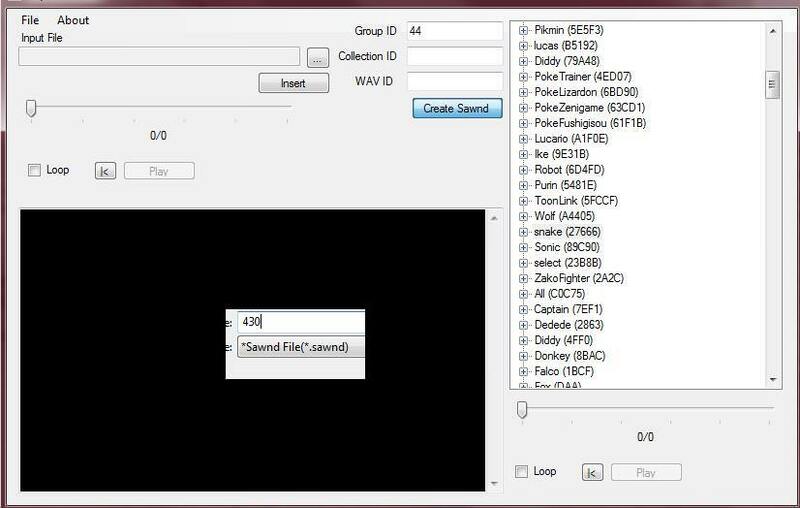 of corresponding sound effects in Snake's soundbank, so I'd replace his 'dash/stop' with the one I had exported earlier. Don't bother noting these IDs, they're not the ones you need. 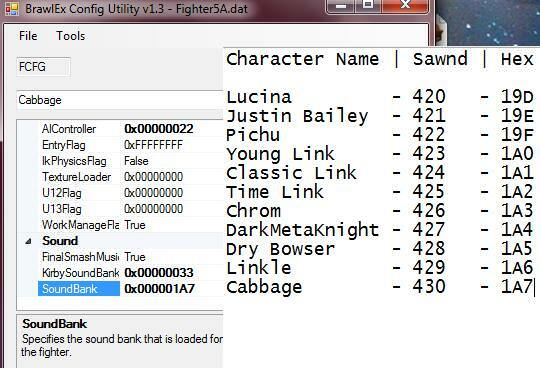 After you're done, save, close BrawlBox, Open Super Sawndz, scroll down to Snake (His Group ID is 44, anything else means you're on the wrong one), click Create Sawnd, and name it the sawnd ID you wrote down way back when, Here, I have it as 430. Remember to export twice! I don't know why, but there's a glitch where the filesize will inflate randomly the first time it's exported, exporting a second time fixes it. Ah, there Cabbage's ID is. From here, you note down the IDs of those 'Internal Name' next to what you have written, like so. Remember! The top part of JOJI's list is for 'vc' portion, while the bottom part is for the 'se' portion, don't mix them up, otherwise things will get weird and you will need to redo a bunch. ...You'll have actual IDs in these lists, but I've just nulled them since Cabbage doesn't talk too much, you'll find things like crowd call, KO sounds and such here though. Now if all has gone well, you'll have a new working soundbank, yay! ...This isn't Cabbage, but Lucina was done beforehand, so. And a bit of an addendum, don't forget to go into the 'ouen' subfolder in 'vc' folder of the .brsar for the ID of a crowdcall! Uhm... I hope that people are able to follow this at all, haha, sorry again if it's hard to do so. Thanks for the tutorial. It's pretty handy! Does it work for both Project M and vanilla Brawl? Or does it just work for vanilla Brawl? Please disregard the crossed out statements. After looking at the video you provided, it appears that this works with Project M. I just got ahead of myself. It works for both-- I just used PM for the example, haha. How do I add the JOJI code? Well, the way I do so is just by keeping my own code list with and older version of code manager. If you mean like, adding onto another code list, apparently a code fusioniser thing exists, but I know nothing about that. 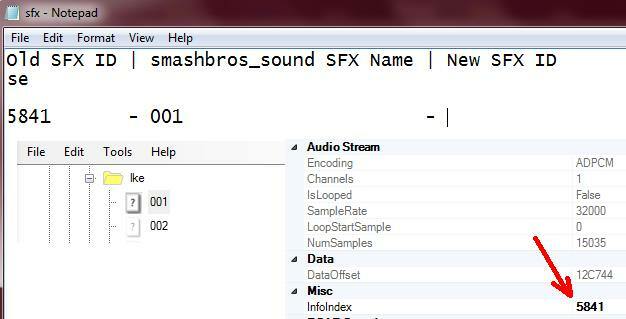 FYI, I'm fairly confident that SoundBank Expansion System (RSBE.Ver) [JOJI] depends on smashbros_sound.brsar to be at a certain offset on Brawl's ISO. The code won't work for people who recompile their ISO with WIT from an extracted filesystem or use working around Brawlex's Final Smash Music glitch. I plan to write up my test cases later and send them to JOJI (once I figure out the best way to contact him). Uhhhh... may be a bit of a dumb question-- but what is WIT? I can't say I've heard of it. It manipulates GameCube and Wii disc images. 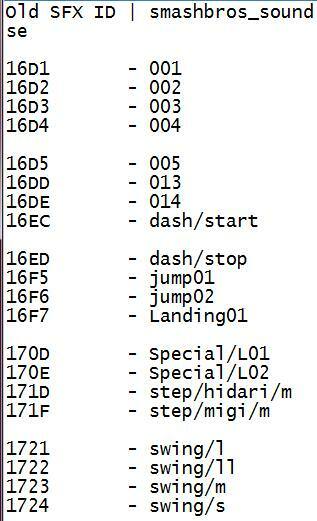 Most notably, it can extract ISO contents to a filesystem and create a Wii-friendly ISO from that filesystem. 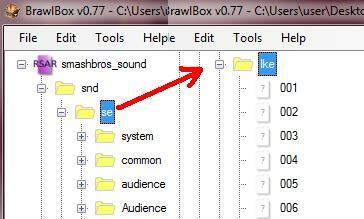 This allows for easy mass edits of Brawl files, working around Brawlex's Final Smash Music glitch, and mitigating SDHC read times are very slow. 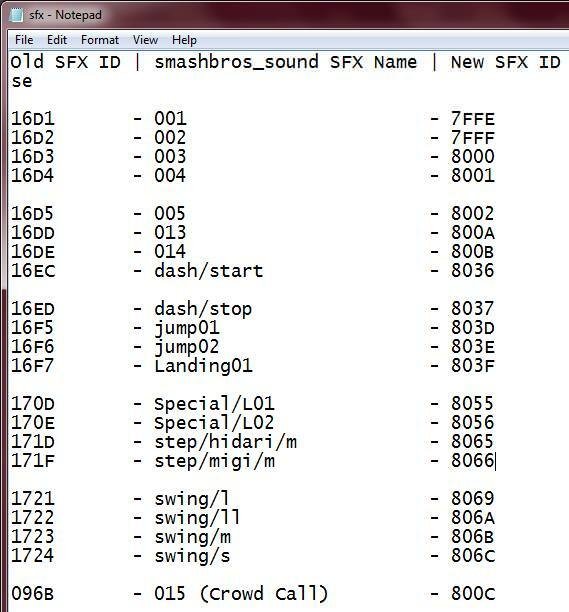 SoundBank Expansion System (RSBE.Ver) [JOJI] is the first Brawl code I've come across that cares about the offsets of files on the disc. WIT reorganizes the ISO slightly. I've already contacted Wiimms about WIT but he doesn't seem too interested in making a 1:1 copy of Brawl from an extracted filesystem. I just PM'd JOJI. Hopefully we can get the code compatible with more setups! I see, neat, thank you! That's a bit unfortunate though, hopefully JOJI is able to resolve this. Would be wonderful to see this code perfected, haha. Slightly off topic, nice job on Robin's moveset Lillith! I tweaked his animations so default Marth imports look normal when using the moveset. I like model imports. I can't insert .sawnd files into .brsar files using Super Sawndz, including the 44.sawnd. When I try to insert, the box on the left side of the Super Sawndz window says, "Error Opening brsar file: " and then it says the path to the .brsar file I opened, then, "Permission denied". The .brsar file isn't modified. What does it mean, "Permission denied"? That doesn't make any sense! How do I get the 44.sawnd file to insert? I think that error pops up if you also have brsar open with another file at the same time, like if you open it with BrawlBox after opening Super Sawndz or something. Even if the .brsar is only open in Super Sawndz, that error still pops up. I tried restarting my computer, and that didn't help at all.